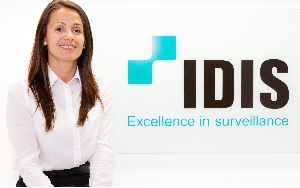 The global surveillance powerhouse, IDIS, has announced the appointment of Anna Wlodarczyk to the role of Internal Sales Executive based out of the IDIS offices in Brentford, London. Anna’s appointment strengthens the IDIS commitment to industry-leading and collaborative customer service to support the company’s growing customer base and network of DirectIP™ distribution and integration partners. Responsible for business development and strategic account management, Anna’s role will also encompasses sales administration to support the expanding direct sales team in the UK and Middle East. Anna brings with her a passion for customer service excellence with over ten years’ experience working within a range of industry sectors, where she consistently improved performance levels across customer support and sales disciplines. Her customer-focused approach is ideally suited to the IDIS DirectIP solutions, which offer a range of tangible benefits across the entire security buying chain. Jamie Barnfield, Senior Sales Manager, commented, “I’m thrilled to welcome Anna on-board, during a marked increase in sales enquiries. Throughout IFSEC, we will bring the ultimate surveillance experience to visitors through a new DirectIP range of UHD and full-HD monitors and cameras. While new integration capability, due to be announced at the show, is already driving particular interest in the corporate enterprise sectors.” Anna noted, “I’m delighted to join a company that continues to exemplify ground breaking technology while experiencing rapid growth. I’m particularly looking forward to meeting new and existing customers during IFSEC, which promises to be one of the most exciting events of the security industry calendar.” Anna has previously held management positions in customer services departments at United Business Centres and Akzo Nobel. She holds a finance degree from the University of Marketing and Business in Lodz, Poland. The extended DirectIP product line up from IDIS will launch this year at IFSEC International at London’s ExCel, on 17th – 19th June 2014 on stand G700.